Wonderful custom built 3BR ranch offers lots of space, unique light and bright layout, central air, newer windows, and nice established neighborhood with easy access to schools and town parks. Plus, just minutes to shopping, restaurants, and Rt 95 for Boston or Providence commuters. Stop by the Open House hosted by Sheryle or let’s arrange a private showing. Call or text me at 508-930-5259 and we’ll get that set up! Gorgeous Fall Weekend for Open Houses and Lower Interest Rates! oh no, that’s right, mortgage interest rates have fallen!! Is it time to get out and start that home search again? With these kind of rates, you can save on your monthly payment or afford more house! 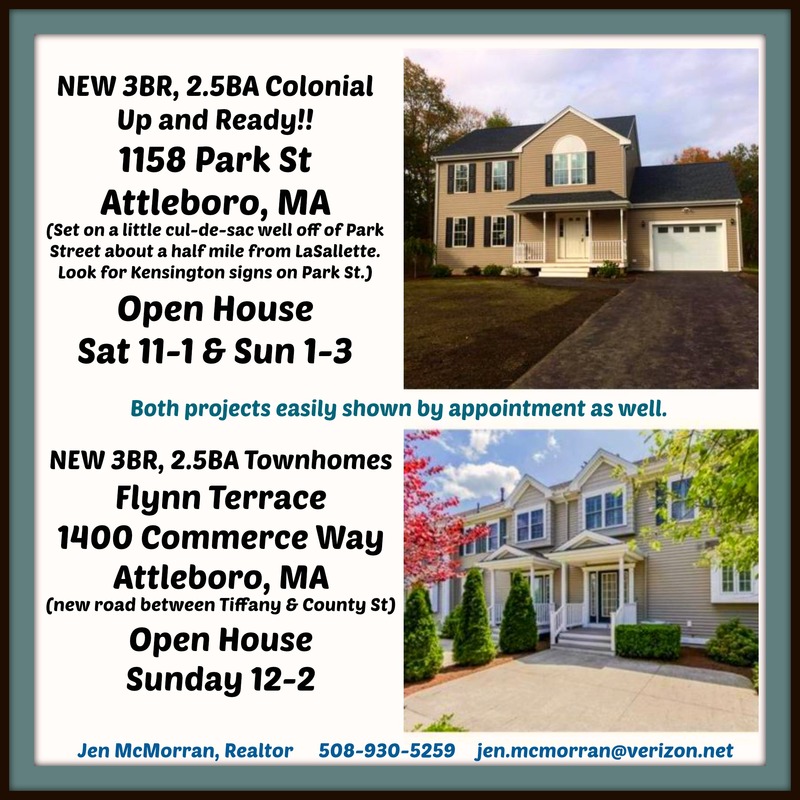 Feel free to get started with us this weekend… Vince and I are hosting Open Houses at two great properties in Attleboro – 1158 Park Street and 1400 Commerce Way. 1158 Park Street is up and ready for it’s new owner!! 1400 Commerce Way (Flynn Terrace) is well underway. Exterior work is getting finished up and interior work is moving right along. One car units should be ready for delivery in early January. Two car units should follow along 6 weeks after the one car units. Both are ready for touring to get feel for layouts and quality of construction. Don’t forget to get pre-approved or to get a 2nd opinion by a trusted lender. Let me know if you I can get you more information!! Buyers determine the value of your home. OK, there, I have said it. Now, if you are planning on putting your home on the market this spring in the North Attleboro area, please repeat this three times to yourself – out loud 🙂 There is no getting away from this concept. As a listing agent, I present an analysis of price for your home. When you start thinking about your list price, remember, almost everyone has access to this same information I am presenting – buyers, buyer’s agents, and appraisers working for the buyers’ banks. Don’t think you can fool anyone into believing your property is worth more than it is. First I look at Sold prices for those homes with similar features that have Sold in your area recently. Sold prices indicate what a buyer was willing to pay for that type of home in that location. Yes, there are negotiations that go back and forth between buyers and sellers, but ultimately the buyer makes the final decision whether to proceed with the purchase of your home. Simply put, you can’t sell your home without a buyer even in the best of sellers’ markets 🙂 As a listing agent, I have to consider “Sold” data first and foremost as those closed properties tell the story of the housing market you are about to enter as a seller. Pleeeeeeeeaaaaaaaaaaaaaaaassssssssse listen and pay attention to those numbers. When listing your home, it is important switch your thinking from a seller’s perspective to that of as an educated buyer to make the best decisions. At our listing appointment, I will also show you active sales to give an indication of your current competition – definitely something to consider especially if you are looking for a quick sale. If you need a quick sale, you should price it slightly under the competition. If you have a little time and desirable features that set your home above the rest (and not just make it unique and desirable to a smaller set of buyers!! ), you should price it competitively or perhaps slightly higher BUT you have to be reasonable or you will lose market time and buyers’ attention. The activity you have on the first two weeks of your listing is great indicator of how buyers and agents feel about your property and the listing price. •What you paid for your property does not effect its value. •The amount of money you need to get out of the sale of your property does not effect its value. Buyers aren’t just going to give you more money because you want it or need it. •What you think it should be worth because your neighbor sold for “x” last year does not effect today’s value (typically we look back 2-3 months). And keep in mind, neighborhood “chat” is not often the best way to get accurate information. •What another real estate agent “says” your property is worth does not affect its value. There must be data to back up any price opinion and a buyer willing to pay to confirm it. •The value of your property is determined by what a ready willing and able buyer will pay for it in the open market, which will be based upon the value of other recent closed sales, the amount of available inventory, rates and other variable. BUYERS DETERMINE VALUE!! •DO NOT automatically list with the agent that suggests that you list for the highest price. Look at the data used to determine that list price – would it seem reasonable to you if you were a buyer? There are a lot of variables that go into pricing a home. 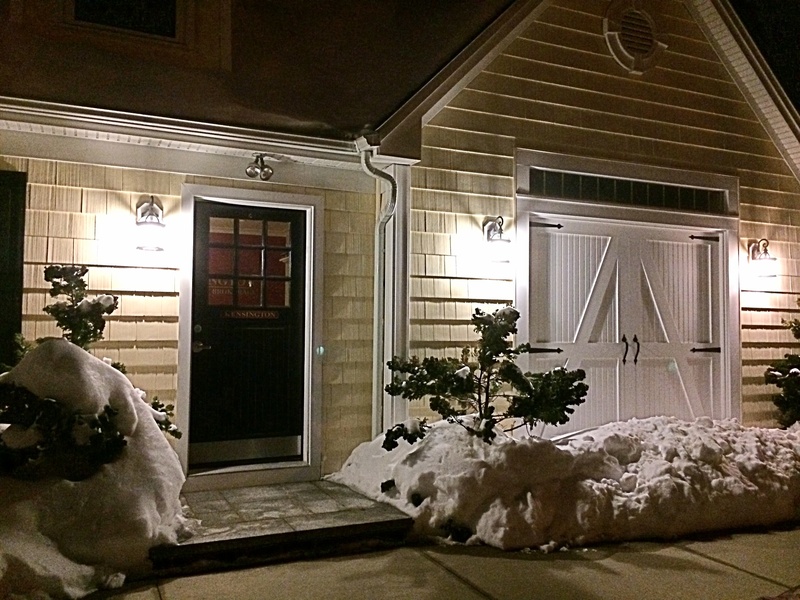 Unique properties can present a challenge but again, put yourself in a buyer’s shoes. What would you consider a reasonable value if you were to purchase your house on the open market? What kind of “deal” would you be looking for on this type of property? What is the toll on your life if you list too high and your home lingers on the market for an extended period of time? Can you afford this financially? Can you afford this emotionally? I do my best as a listing agent, to consider all of these variables when listing your home. Together, we can combine the current housing market data and your honest situation to produce the best pricing strategy. Attention First Time Home Buyers in the North Attleboro, Attleboro, Plainville, Wrentham, Foxboro and Mansfieldyear fixed rate loan is still below 5% (4.375% average today), interest rates are predicted to creep up the second half of 2014. And, there are still some great affordable homes in North Attleboro, Attleboro, Plainville, Wrentham, Mansfield, and Foxboro areas if you are looking in the Southcoast area of Massachusetts. 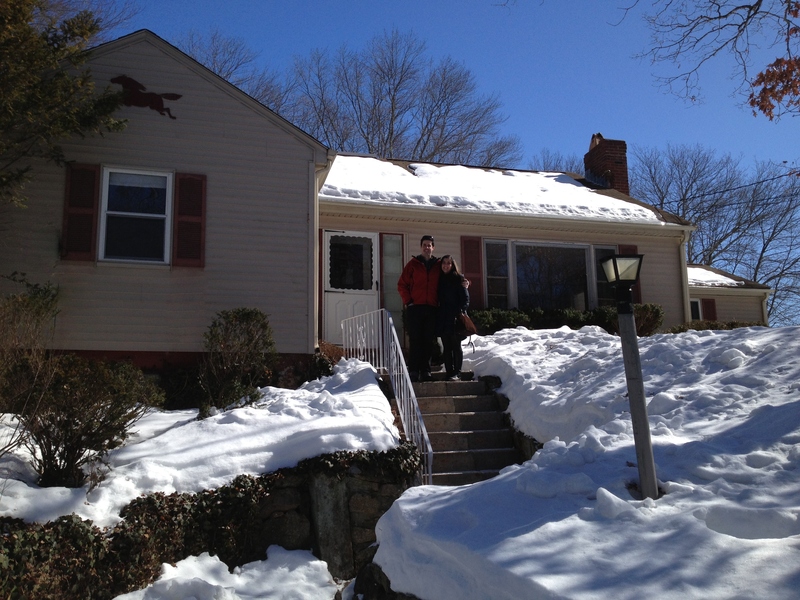 Clients and I even found solid homes in the Metrowest area at an affordable price point. They settled on a property in Ashland that needed some updating but nice layout, nice lot, and a really nice location – a few cans of paint and it is already looking like a whole new house. The best part … it is a house that they truly grow into and make their Home. Welcome to Be Home. Be Well. This truly is a site that reflects Me – my professional side as a real estate agent and also my personal side as a mother, wife, friend, and community member. I couldn’t be great at either without the support of my friends, family, community, and trusted business affiliates. I love getting new clients referred to me by people I know. People who know me, know I care about my clients and doing everything I can to help them make the right decisions when it comes to real estate. Starting off a client relationship with a baseline of trust always makes the home buying or selling process easier to work through – and if you’ve been through it, you know it is a “process” and there are always things to “work through” 🙂 But, we can get it done! Need a contractor? Thinking about refinancing and need a mortgage officer? I have my favorite “people” to recommend. Feel free to contact any of them. And if you have someone you think would be great to add to my list, please let me know! When you’re not searching for or working on your Home, it is so important to also Be Well. Enjoy your kids, your spouse, your friends, your pets, your hobbies… I love sharing favorite recipes, local ideas for fun, great get-away ideas, clever projects, cool new games, good books, and my favorite – great deals ! I love getting others’ ideas as well! Check out the “Home Life” tab for my favorites and please share yours as well. Over the past years, I have learned that a sense of “community” is absolutely invaluable. I want to make sure that I support my local North Attleboro community members as best I can and I hope that you do the same whether you are in North Attleboro, Plainville, Attleboro, Wrentham … Boston … where ever! Check out Community Connections for great local businesses, direct sale “Besties”, Community Events, Town information, etc. The more we support each other, the more we will all succeed and Be Well. opZomism and brAvery… named for my favorite girlies. Our family has learned first hand that a little opZomism and brAvery can go a long way in getting your through some of life’s biggest challenges. Check out our updates and favorite causes.